Types of Coverage Offered by Local Trucking Insurance? ← Qualities of a Local Trucking Insurance Provider? Companies owning and using trucks for commercial purposes must consider insuring their vehicles properly, and with the right coverage to boot, since trucks usually cause some of the most serious accidents on the road; not to mention, repairs and parts replacements can be very expensive. If you are the owner and operator of a commercial trucking services company, or if you are in the industry that involves trucks and trailers, then it is important to know the right kind of insurance for your vehicles. It is also essential to find the right insurance company that can help you get back on the road after an incident in the shortest time possible. This is mandatory in every state. 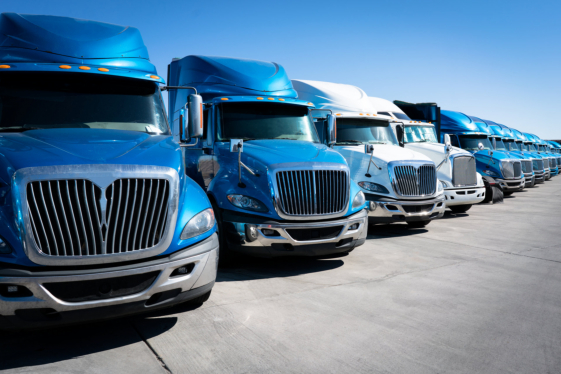 It protects the driver of a commercial truck against liability and potential lawsuits if the driver causes bodily injuries or property damage to involved parties as a result of a collision or accident. Expense coverage offered by insurance companies typically range from $35,000 to $1,000,000, depending on the plan or premium. Truck physical damage insurance plans pay for repairs of a commercial truck or trailer damaged due to collision, vandalism, natural disasters, theft, and others. The insurance company can cover the whole cost of repairs, or until a certain amount. If the commercial vehicle is damaged beyond repair, some premiums can offer reimbursement or replacement for the truck, depending on its current standing value. This is especially important if you specialize in the transport of highly valuable goods, as it provides protection to the driver of a commercial truck if the cargo is damaged or lost. Coverage can be between $10,000 and $100,000, depending on the plan or premium. Similar to the Motor Truck Cargo Coverage, this protects commercial truck drivers against property damage liability and potential lawsuits when they are in possession of a non-owned vehicle, such as trailers. Reimbursement amount will vary according to the premium. Also referred to as non-trucking liability, as it applies to situations in which the truck driver is off dispatch or driving the vehicle for personal reasons. Any situation in which the owner-operator is not covered by a Primary Liability policy or coverage, is covered by Bobtail Coverage. However, it is important to note that non-trucking liability insurance does not include coverage for truckers when they are using the company vehicle to make money, pulling a trailer, or driving it for a different trucking company. Rapid Document Insurance Agency is a truck insurance agency in Downey CA that offers a wide range of insurance plans that will suit your needs and budget. We are your trusted partner in the trucking industry, ensuring protection for your business on the road. This entry was posted in Local Trucking Insurance and tagged Damage Insurance, Insurance Plans, Insurance Provider. Bookmark the permalink.